Professional Coin Grading Service has announced the new PCGS Digital Coin Album feature, which allows collectors to display and share their coin sets in a format resembling a traditional coin album. The new feature is free and easy to use. Collectors are able to see and show their PCGS Set Registry® coins handsomely displayed in a customized album anytime, even if the prized coins are stored in a far-away bank vault or elsewhere. “The PCGS Set Registry would not be possible without internet technology, and now we’ve used technology to take what we feel is the next giant step for PCGS Set Registry efficiency, fun, and enjoyment,” said BJ Searls, PCGS Set Registry and Special Projects Director. “We’ve developed a way for you to create an elegant coin album which you can enjoy yourself or share with your friends anytime. You simply login to My Set Registry, visit one of your sets, and build the album with the images you have added to your set,” explained Searls. You can choose from one of six different color palettes for each album and you can add your own set description to the cover. Once you “publish” your album online, it is linked from your set in the Registry and can be downloaded and printed as a PDF file. You can admire it anytime, anywhere online, and you can share it with other collectors on the PCGS Set Registry website and through other social media. 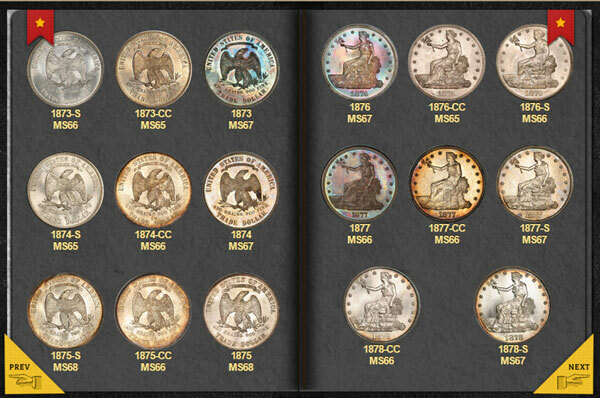 Searls and PCGS Co-Founder David Hall will present a brief seminar about the new PCGS Digital Coin Album feature at 2 pm on Friday, January 30, 2015, at the upcoming Long Beach Coin, Currency, Stamp & Sports Collectible Expo (www.LongBeachExpo.com). “This new digital approach combines the way we all used to collect with albums to house and display our coins with the technology of today. This dramatically changes the way you can enjoy and display your sets. In fact, your kids might even like it!,” said Searls. The PCGS Set Registry (www.pcgs.com/setregistry) was established in 2001 and now hosts nearly 73,000 sets. 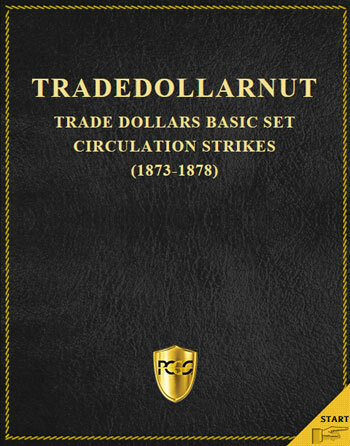 For additional information about PCGS and its services and the new PCGS Digital Coin Album, visit www.PCGS.com or call PCGS Customer Service at (800) 447-8848. Now that is a great idea! Hope NGC joins this idea…Very innovative!